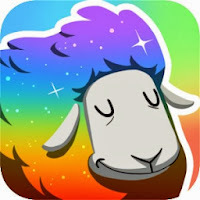 Amazon has the Color Sheep Android App for FREE today only! Mix red, green, and blue to master the power of light! Discover Woolson's arsenal of spectacular spells! Climb the leaderboards and best your friends and family! Works great and looks amazing on your phone and tablet! Get the whole game now! No ads, in-app purchases, or other tricks!